Rotary International Districts 5770 and 5750 are supporting the relief and recovery efforts related to the tragic events in Moore, Oklahoma, and the destruction from the tornado that hit there on May 20. Many families and friends have suffered great loss. It is estimated that there were between 12,000 and 13,000 homes destroyed or damaged, in addition to businesses and schools. Funds received by our Rotary Bi-District 501(c)3 Foundation will be used exclusively for the benefit of those affected by this terrible event. Donations are tax deductible and all donations will be acknowledged. The effort in helping the community and individuals who have been affected by these destructive forces is being coordinated by leaders from Rotary District 5770 (which includes Moore and Cleveland County) and Rotary District 5750 (which includes south Oklahoma City), and will work in conjunction with and in support of the Moore Rotary Club and local and state officials. This information is also available at the District 5770 Web Site. On December 8th, 30 disadvantaged children identified by Santa Anita Family Services will get a special treat this holiday season. Through the assistance of the Rotary Club of Monrovia, the 30 students, ranging in age from 5 to 10 year old, will get the opportunity to shop for new clothing and shoes. Each child will be paired with a Monrovia High School Interact Club member or with an adult Rotarian to assist with their shopping and will be able to purchase $120 work of school appropriate clothing. The Rotary Club of Monrovia will be organizing Service Saturdays about once every other month to provide volunteer service projects to help out in our local community. This Saturday, August 18, 2012 will be our first and we are very excited to get started! We were first notified by the Monrovia Fire Department that a local family was in need of a wheelchair ramp in front of their home as they have two wheelchair bound members of their family (a 4 year old boy with cerebral palsy, and the 76 year old grandfather of the boy who cannot walk due to the lack of cartilage in his knees). The family lives in a beautifully maintained 1908 house with a very high front porch and even higher back porch. In an evacuation situation, a ramp or chair lift would be vital to emergency personnel. The height of the front porch makes a wheelchair ramp unfeasible so it was determined that a chair lift would need to be installed. The Rotary Club of Monrovia purchased the wheel chair ramp and we are prepping to install it this Saturday at the resident’s home. The front porch railing could also use some reinforcement and a new coat of paint so we will also be tackling that project. The home we will be working at is located at 133 North Encinitas in Monrovia and we will be working there from 8am to noon (or when we are done) this Saturday, August 18. 2012. We could always use a few extra hands to help with the painting and reinforcement of the railing so make sure to bring your paintbrushes and any sanding equipment you may have on-hand. The chair lift installation should be all handled. If you are interested in helping out, please contact Sylvia Domotor at sylviad133@roadrunner.com for the details and to RSVP. Keep an eye out for our next Service Saturday as well coming in October! This year twelve academic scholarships were awarded to graduating seniors, eight to Monrovia High School students, two to Canyon Oaks students, and two to students from Mountain Park School. The Monrovia High School academic scholarship winners are: Giselle Moreau, Jason Zhang, Abigail Bahena, Corrine Marino, Alanna Koritzke, Nicole Wells, Amanda Samp, and Samantha Maggio. The Canyon Oaks academic scholarship winners are: Paul Caban and Vivian Magallanes. The Mountain Park academic scholarship winners are: Charlene Hoang and Solana Rose Feldthouse. This year marks the first time the Rotary Club of Monrovia is partnering with the Monrovia Community Adult School to provide vocational scholarships in addition to the academic and service scholarships offered in past years. The Rotary Club of Monrovia provides 50% the cost of the vocational programs and the Adult School discounts them by 50%, making it a net 0 cost to the recipient (with the exception of books and possibly some fees). This year the Rotary Club of Monrovia is contributing to six vocational scholarships. According to Flint Fertig, Director of the Monrovia Community Adult School, there are jobs in the community waiting for the skills that these programs deliver. The vocational scholarship winners are: Sandra Pulido (Medical Assisting), Cindy Duenas (Certified Nursing Assistant), Pedro Avila (Certified Nursing Assistant), Jazmin Madrigal (Certified Nursing Assistant), Maria Alfaro (Pharmacy Tech), Oliver Greeve (Pharmacy Tech). Congratulations to all the winners! The Rotary Club of Monrovia is proud to help further the educational and academic advancement of the youth in our community. We are pleased to report that the selections have been completed for the 2011 Monrovia Rotary Club Scholarships. We truly appreciate all the cooperation we received from all the school counselors, who contributed their valuable time. A very special thank you is also owed to our scholarship committee, who did an outstanding job. All the students have shown commitment to their education and have been excellent examples to their peers in their classes. On April 20 & 21st, 2011, Monrovia Rotary Club Scholarship Committee interviewed 36 elite high school students in Monrovia for our annual Scholarship grants. These students have survived the rigorous process of being graded on their academics, test scores, commitment to their community and their achievements. The final hurdle was the face- to-face interview with the Rotarians as scholarship recipients are selected. These students never fail to impress, and often, we are fortunate to be able to build mentoring relationships with these students that last a lifetime. Many will be the first in their family to attend college and have overcome tremendous odds. The Rotary Club of Monrovia is proud to announce the selection of Giselle Moreau, Jamie Truong, Stephanie Garcia, Dushani DeSilva, Amanda Aquilar, Corrine Marino, Kevin Romero, Levi Helm, Christopher Rosedale, Saul Denova, Diego Nieves, and Michael Arevelos (all 11th grade students at Monrovia High School) as award winners for the Rotary Youth Leadership Awards (RYLA) program. In an intense 3-day seminar organized by the Rotarians of District 5300 of Rotary International, the students debated issues of professional responsibility and human relations, improved leadership and communications skills, learned about businesses and institutions, and met Rotarians while having fun and making friends. Each student has many accolades to their credit and was selected after an interview process with current Rotarians. RYLA took place March 4-6 in Idyllwild, CA. 288 students were in attendance from Southern CA to Nevada. Rotarians from across District 5300 facilitated workshops and activities that help foster leadership and problem solving. Our Rotary District 5300 will be hosting a Rotary Group Study Exchange Team from Dubai, Bahrain and Egypt from June 2 to June 10, 2011. They are looking for Rotarians to provide housing for 4 to 8 nights for one of the team members. accompany the GSE group on their adventures in Southern California, including visits to Disneyland, the Magic Castle, fire stations and local businesses. A member of the Arcadia Rotary Club has asked for our help in planning the future of the L.A. County Arboretum. The Arboretum is creating a strategic plan to determine how it can best serve the community. 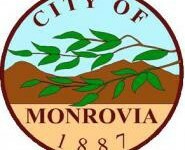 To inform their decisions, they’ve created an electronic survey to solicit as much community input as possible, and they are particularly hoping that they will hear from their neighbors in Monrovia. They wish to know how they can do a better job, and what new features or programs would be most valuable to the public. We can be of great help in shaping a bright future for the Arboretum. Please let them know your thoughts by completing the survey at the link below. It will take 5-10 minutes. And please feel free to share this link with family, friends, and neighbors. This weekend (Nov 19-21, 2010) The Rotary Club of Monrovia has sent five 8th graders to represent Monrovia schools at camp. Two of the 8th graders in attendance are from Clifton Middle School and three are from Santa Fe Middle School. Rotary Teen Leadership Camp (TLC) is a leadership training program for 8th grade teens. It is sponsored by the Rotary clubs of Rotary International District 5300. Students interact and participate with 144 other outstanding 8th Graders coming from throughout the San Gabriel Valley, the West End of the Inland Empire, the High Desert and Southern Nevada.